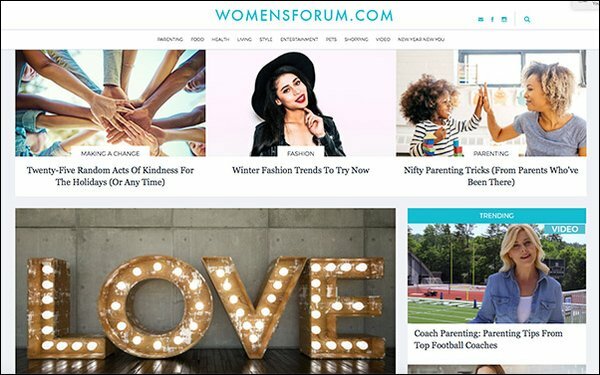 VIX, a multicultural digital media brand, is buying women’s lifestyle site WomensForum.com. VIX will acquire WomensForum's media assets, direct sales and content teams. WomensForum.com has a vertical dedicated to shopping coupons and spotlighting products. “This acquisition allows us to expand our women’s lifestyle presence in the U.S. while also adding lower funnel performance solutions for brands in the CPG and retail categories looking to engage these audiences,” Rafael Urbina-Quintero, chairman/CEO of VIX, told Publishers Daily. He added the new acquisition will also allow the company to enlarge its shopping influencers. VIX distributes snackable video and trending news in English, Spanish and Portuguese on its site, which receives more than 1.4 billion views every month, per the company. WomensForum's audience consists mostly of female millennials, moms and shopping influencers. The site will continue to operate independently, though VIX will cross-promote content in verticals like food and parenting. “As a leader in driving measurable consumer actions through its custom content, their resources will allow for the expansion of shopping incentives, such as lead generation, coupon downloads and retail promotions,” Urbina-Quintero said. This month, Nielsen’s Digital Content Ratings revealed women make up 62% of VIX’s audience. VIX reaches over 40% of adult women between 18 and 49 in the U.S. The company is headquartered in Miami with offices in New York, Mexico City, Montevideo, Buenos Aires and Sao Paulo.